In the Design Consultation stage you will sit down with Scott, the President and Designer who will help bring your ideas into their first form on paper or you can bring a drawing to the consultation if you have one. You will work closely with Scott as ideas flow from you, bringing each piece of your new home to life. During the initial meetings we will get to know you and talk about style and preferences, as well as trying to meet your needs into the functionality of the plan. We will discuss the number of rooms, where they will be placed, and space planning to make your home conducive to easy living. We also will make a site investigation being sure the home we are developing is unified with the landscape. Once you have decided upon Company Woods Builders and your home design, you will obtain a construction/permanent loan, if needed. We will be happy to provide your Bank with the necessary paperwork. For clients who do not require financing, an escrow account is set up. The disbursement of funds corresponds to the draw schedule contained in the contract and requires both Owners’ signature and Builder’s signature. While you are deciding on your Mortgage Provider…..
Next is the stage where your ideas are cemented into the detailed architectural design and the elevations and renderings are produced through computer software. The specifications of your house are taken care of next as well as construction documents and contract documents that must be completed. During this time we will perform another site investigation. You will be taking the completed documents to your Mortgage Provider as they are necessary for the Mortgage Provider to process your application. Four to Nine Months Depending on The Size, Style, and Degree of Custom Woodworking (and WEATHER). Excitement builds as the permits for your home are granted, the lot for your home is cleared, and the foundation of your new home is set. From the ground up, the stage is set for your new home to be built. The ideas from your mind onto paper, and now in physical form, begin to take shape before you. First the framing is raised then the roofing is put on and the windows, exterior doors and siding complete the shell of your new home. Next the electrical, plumbing and HVAC work is started as well as inside doors and drywall and your home is well on its way to reality. Your home begins to take on character as the painting, flooring, and cabinetry are put into place and the trim and millwork continue creating your home’s personality. The electrical, plumbing and HVAC can now be completed and final inspections take place. The very last step is Moving In! With a complete set of plans detailing the home as agreed and complete specifications detailing the project, inspections will be performed prior to each draw. 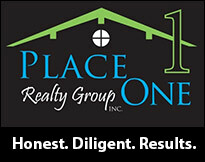 Your Mortgage Provider will perform inspections as well as the Township and/or Property Association. Construction is Underway, Now What? 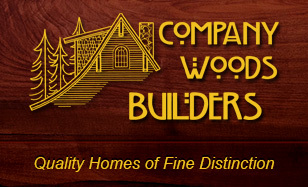 Once you’ve chosen Company Woods Builders and the construction is about to begin we want to make sure there is clear communication of schedules and expectations. What is done next about this working relationship will make the difference between a pleasant experience and an unpleasant one. Here are a few things to remember…..
Post CWB phone numbers by your phone in case a question arises and be sure the numbers are stored in your cell phone in case you are in a supply store and have a question about your selection. Consider the logistics involved in ordering, delivering, and shipping materials. CWB is as anxious as you are to finish your home on time. Allow a margin for human error or for simple forgetfulness. Workmanship: Expect the highest of industry standards of quality workmanship. However, don’t expect to get in excess of your specifications unless we are going to document a change order for an upgrade or other change. Most often, there is an additional charge for this. Your New Home Location is a Job Site but not your storage space. Owners’ possessions are not permitted on the Job Site until completion or as agreed to by our President/Builder, Scott. Be Cool: Keep calm and flexible. Time-clocking workers only builds anxiety and resentment and won’t save you in time or money. Try to stay out of the construction area. This important for safety and for maintaining construction schedule. Keep pets and children out of the workers’ way. Your Assistance: You can cut down on last minute decisions and delays by selecting your materials in advance. Please be sure to refrain from the endless “whys” that slow down production. Most workers are simply following the Builder’s orders and the project specifications. Discuss construction changes only with the Builder’s authorized representative. Win cooperation from workers and the Builder with good, basic human relations. Nothing makes them work than a word of appreciation or an unexpected pot of coffee! Give CWB the benefit of the doubt. You chose us for a variety of reasons and one of those was honesty. Smaller sized companies know that they will essentially enjoy longevity in the business through satisfied customers.